Too often, nonprofits and foundations eschew the tools and methods of “slick Madison Avenue advertising,” thinking it does not jive with their social mission and impact. The problem with this is that those tools and methods work. By ignoring and vilifying them, we aren’t negating their effectiveness, we are just limiting our reach. 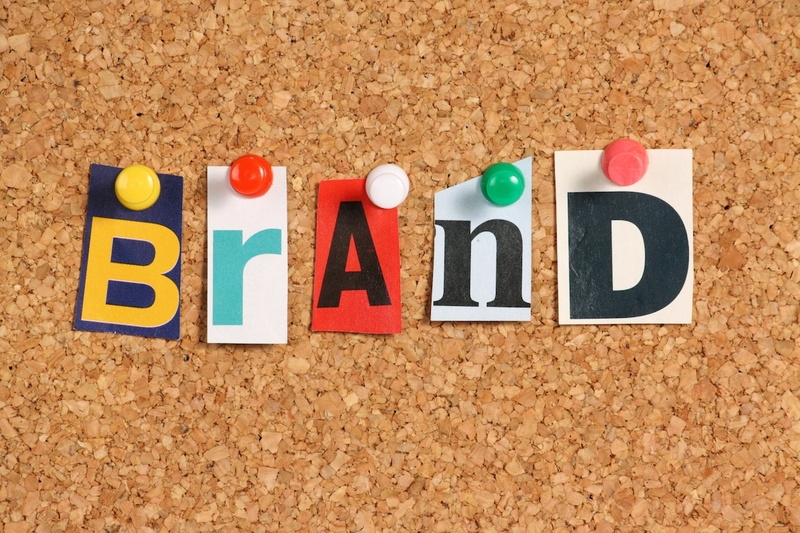 At its core, a brand is the story of your organization. It is all the assets, stories, thought leadership, and impact you make in the world every day. The thing is: you already have a brand. The degree to which you manage and activate it will define how well your story gets out into the world. Folks tend to equate the visual expression of an organization with the idea of “brand”, but really, it’s much more than that. It’s the feeling you evoke, the way you communicate, the communities you support, the values you hold, and the stories you tell. It transcends any one effort to encompass everything you do across every channel and at every point of communication. If your many different efforts do not work in concert, you will have a confused and muddled brand. If you rally your brand around a set of clear concepts, you can focus your efforts, communicate consistently, drive action, and implement your programs more effectively. OK, by now you probably get it, but the prospect of managing this unwieldy, mercurial behemoth has likely got your knickers in a twist. Not to worry! There are many experts and resources available to help you, from online tools and content to agencies and consultants that will partner with you to make your programs and voice have even greater impact. Let’s get our heads wrapped around the major components of a brand. Most folks in the branding arena use these same ideas, but may call them different things or use a different order. Don’t get too hung up on definitions and semantics: look for the concepts and ideas that will help you shape your organization. This is about who you are as an organization, how you think, act, and communicate. We like to think of your vision first—what would the world look like if your efforts came to pass? That’s the goal that you work toward every day, and let’s face it, every night too. The mission is how you get there. If you think of the mission as your infrastructure, the values are how you act and what you care about, the personality is how you communicate, and the brand core is the central touchstone around which all your communications are built. These pieces all work together to arrive at your vision. All these things can be viewed as internal messaging, or strategic positioning. They define your organization and are not shared externally in their raw form, rather, they are the tools you and your staff should use to inform every point of communication. Go ahead and share your mission or vision on your website, but hold onto the other concepts as internal guides to create your brand. We can often get hung up on what we do or how we do it. If we start asking ourselves WHY we do this work, we get into answers that are more aspirational and emotive. These are the kinds of ideas that audiences will find compelling and will attract them to your brand, and your mission. In this section, we create the external messaging of your organization. It’s where you weave your brand story and iterate it for different situations. Ultimately, this content will be deployed in various forms across all your materials. First, it is helpful to understand your audience. “We want to reach everyone” or “Men and Women 18-55” are not helpful segmentations. If you create messaging designed to reach a broad target, it by definition becomes more generic and fails to resonate. Messaging designed around an insight about a particular audience engages and provokes action. Think about the programs you offer. They are not meant for everyone but are developed for very specific audiences, and that’s one of the reasons they work. Create rows that identify the segments of your key audiences, like major donors, volunteers etc. Create columns that read: Where do we reach them?, What do they care about?, and What do I want them to do? Use this matrix as a touchstone when you create your communications materials. We know that people make decisions based on what they feel, not on what they think, which is why storytelling is so effective— it engages on many levels and weaves a compelling narrative. It is essential to create your own brand story that will touch on the work you do and why you do it and the change you want to see in the world. Use these four questions to help you tell your story: What do we care about? What stands in the way? What should we do about it? How will the world be different if we succeed? While your brand story might be the stuff of poets, it’s not how normal, everyday people talk. And if you try, it can sound rehearsed and stiff. That’s why it’s a good idea to create elevator pitches for your key audiences that use everyday parlance and can be supported by a series of talking points so an experience can be customized. The term “elevator pitch” comes from the imagined scenario where you step onto an elevator with a stranger who might ask “I see you work for Acme.org, what do you do?” and in the space of time it takes to go up a floor or two, you have a clear, engaging sentence that captures the spirit of your organization. Since many of us find tight spaces with strangers an uncomfortable scenario in which to pitch, think of this as a tweet. What will you say in less than 140 characters? Logo, tagline, color, typography, photography, graphic elements Now that you have your strategy and narrative, it’s time to visualize your brand. Using the logo as the graphic keystone, we define all the other assets that are going to work in concert to create a strong, replicable presence that will quickly define the look and feel of the organization. This work is commonly assembled in a style guide that dictates things like logo usage, colors across substrates, typographic choices, and rationale that defines when and why to use different configurations. For nonprofits in particular, think of the logo as the visual manifestation of the mission. An audience should intuitively grasp the kind of work an organization does at a glance. Website, collateral, brick and mortar, events, employee engagement, thought leadership, social media community The last part of your brand is the manner in which you engage the world around us: how the brand is experienced. From the website to media relations and thought leadership, we need to tell a compelling story that will present a consistent narrative that builds equity in our brand. The good news is that if you’ve followed these steps, you already have the key content for your website, the talking points for a media interview, and a keen understanding of who you are and how you are different. This is where all those pieces come together to engage audiences and convert them to be your brand advocates. More and more, audiences are coming to our sites on a mobile platform. This makes us think less about a home page design [and above the fold] and more about information hierarchy—what’s the most important thing I want a user to understand? Mobile users have learned to scroll like a gerbil on a wheel. Use that behavior to tell your story. Communicating Creatively article by Jamie Drummond & Roxane Philson, they introduce the brand’s mission in the very first sentence. Keep it in mind as you work your way through some of the very cool content in this journal. During the summer, Hayley Berlent from the Additive Agency and I did a webinar on behalf of Communications Network about branding, and I’d like to reiterate the five key takeaways here. I’ve talked a lot about the component pieces and what they can do, but don’t forget to take that step back and look at how it all comes together. Use these five themes to help guide your work and make sure that as you push through the branding process, you don’t lose sight of the bigger goal: a strong brand. Avoid jargon and industry terms, edit, edit, and simplify. The work we do is from people for people. Share stories, add personal touches, and allow audiences to identify with you and the communities you work with. Use active language, create a sense of urgency, be clear about what it is you want audiences to do. Not all opportunities are right for you and your brand. Always ask yourself, does this feel true to the brand? Demonstrate how you make change. Use statistics, stories, graphics, and all your channels to let audiences know how their engagement is making a more equitable and just world.